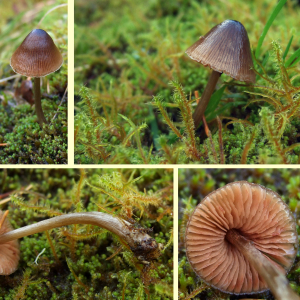 Observation - Mycena species? - UK and Ireland. Description: On mossy rock with Cladonia species. No obvious sign of woody material present. On mossy rock with Cladonia species. No obvious sign of woody material present.